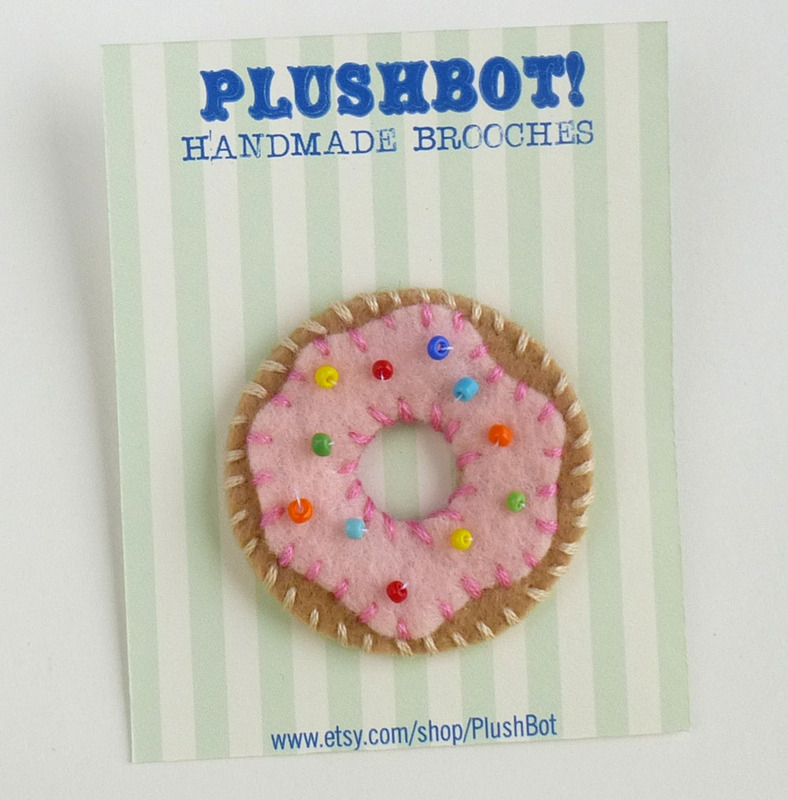 Show your love of delicious deep fried donuts with this beaded felt brooch! 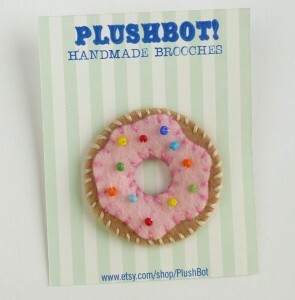 Comes complete with pink icing and glass bead sprinkles. Available on Etsy.